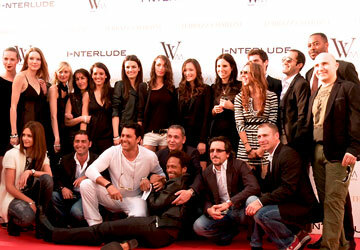 ABC Home’s Deepak Homebase NY. 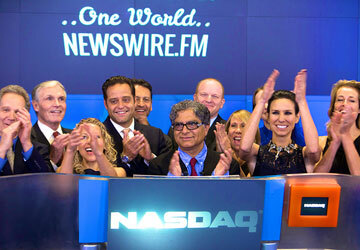 Nasdaq Marketsite - Times Square NYC. 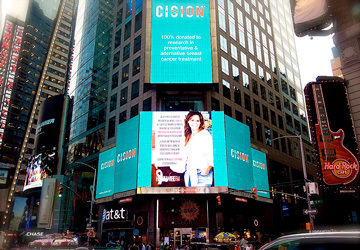 October Breast Cancer Awareness Month Campaign on Times Square. 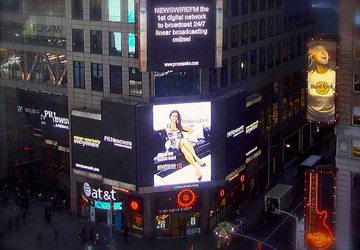 Our latest press release featured on PR Newswire with our campaign on Times Square in New York City. Inside the SiriusXM studio at Rockefeller Plaza recording with Jenny McCarthy & Deepak Chopra. Martine on location filming the boardroom of the 1994 Israel & Jordan peace treaty between King Hussein and Prime Minister Rabin. 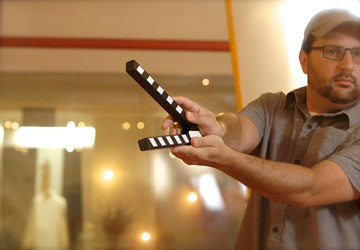 Josh Fox and Martine Dubin checking the sound for Satsangh’s episode featuring him and Deepak Chopra’s discussion on climate change. Martine & Deepak on the Just Capital set at AT ABC Home's Deepak Homebase getting ready to shoot another show. 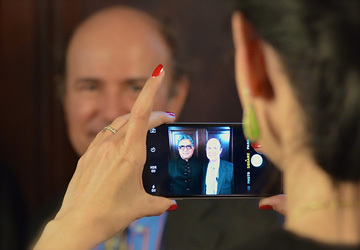 Martine snaps a shot of Deepak & Nobel laureate Dr. Frank Wilczek on the Curious Minds set at Carnegie Science Institute. 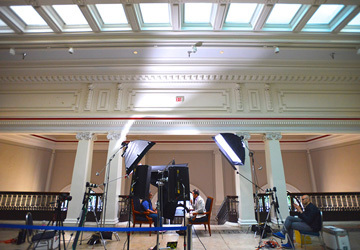 Deepak Chopra & Rupert Spira in deep conversation on set at the Carnegie library in Washington, DC. 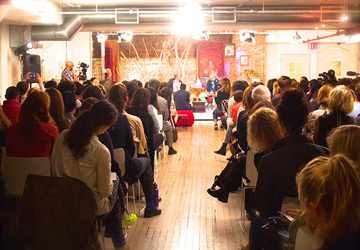 Deepak Chopra & Michael O'Neil on the Satsangh set at ABC Home's Deepak Homebase with lots of friends and fans. 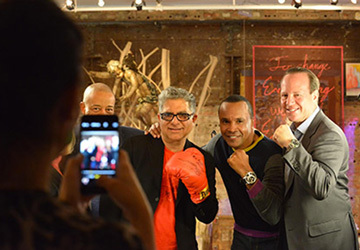 Sugar Ray & Deepak kicking a punch with our team on the ONE WORLD set at Deepak Homebase! 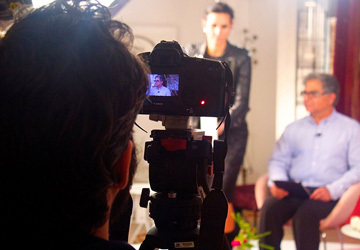 Matthew Bishop, Alejandro Ramirez and Martine getting ready to shoot an episode of Philanthrocapitalism at our DLD2010 studio in Munich, Germany. Eddie showcasing the perfect “Downward Dog” on Ashtanga Yoga Primary Series. 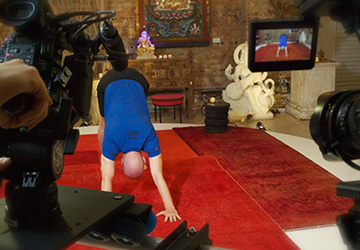 Eddie getting ready for his first take of Ashtanga Yoga Primary Series. Martine & Eddie on the Ashtanga Yoga Primary Series set at Deepak Homebase, getting ready to tape Lesson 3. 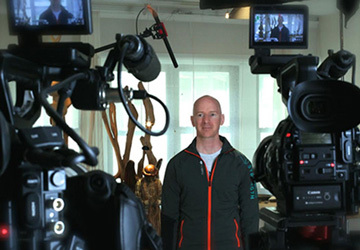 Casey getting ready for the next take of our ONE WORLD production. 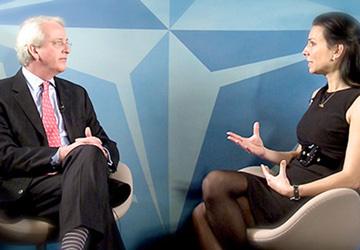 US Ambassador to NATO Ivo Daalder & Martine taping a show at the NATO headquarters studio in Bruxelles.